A032 door weather seal for the cars and truck doors . door weather seal for the cars and truck doors . This is door weather seal that install in the car door from the internal side . between the car door and the car body . all details about the install place, dimensions, and flexibility is clarified in the pictures . We Sell This door weather seal in 1FT increments (1 Quantity = 1 FT ) (1FT=30.5 Centimeters ) . put the quantity you want in the quantity box . Your door weather seal will be cut in one Continuous Piece to the exact length you order . 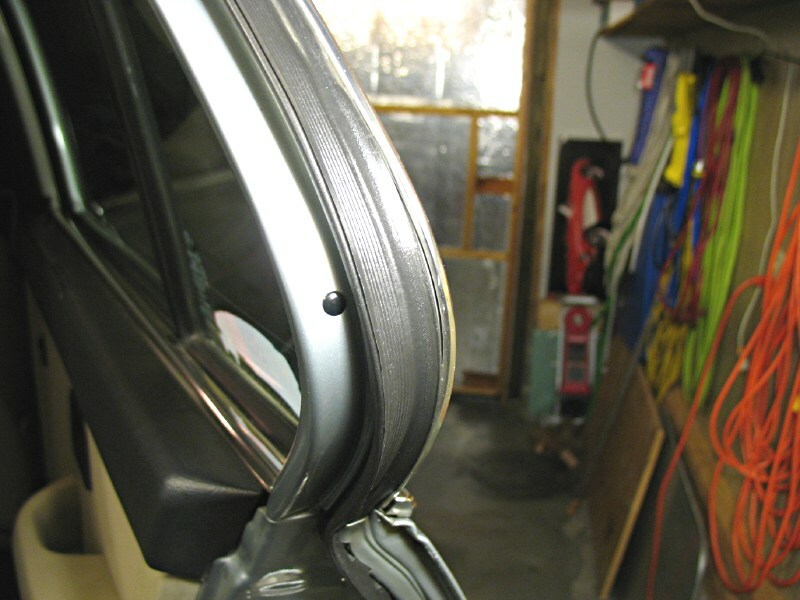 You can select the appropriate door weather seal for your vehicle by the dimensions . you can compare this door weather seal dimensions and your old door weather seal dimensions . 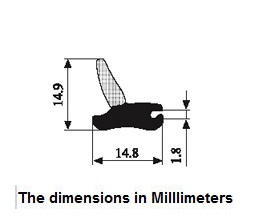 The dimensions available in millimeters and inch . 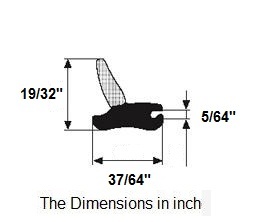 we advise you use the millimeters dimensions because it easy to use and more precision . Width base : 14.8 M.M . Height from the base : 14.9 M.M . edge thickness : 19 M.M . Width base : 37/64" . Height from the base : 19/32"
edge thickness : 5/6" . Materials : Sponge EPDM . Order code : A032 . - in the car door body . - Trailer door rubber seal . - Seal rubber for campers . - rubber stripe for heavy equipment . - rubber seal for bus door . - rubber stripe for metal boxes . - Metal door rubber seal . - Door weather stripe for Metal gate . - Door seal for Trains . - truck door weather seal . 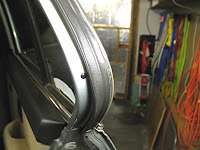 - Weatherstripping for trucks . - Door seal rubber for caravans . I have just downloaded iStripper, and now I can watch the sexiest virtual strippers strip-tease on my taskbar.